On Friday March 7, 2008, the ninth annual National Association of Latino Independent Producers Conference took place at Dana Point, California. Producers, directors, and celebrities attended to show their support for the event. NALIP's major sponsor for the event was HBO, which provided many of its industry executives to share their wisdom with NALIP’s members and conference attendees. Various films were shown throughout the weekend, including La Misma Luna, soon to be released nationally. The story centers round a young Mexican boy who crosses the Mexican/US border to reunite with his mother after his grandmother passes. 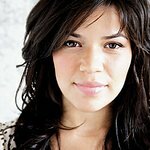 Ugly Betty’s America Ferrera can be seen briefly in the film. Smaller scale but critically acclaimed films were also shown during the course of the weekend. Workshops for aspiring actors, writers, and producers were also held, and the event was well received by those who attended. People waited anxiously after each seminar to speak to producers from Pan’s Labyrinth, actress Yareli Arizmendi, Illegal Tender director Franc. Reyes, and many more. NALIP’s mission is to promote the advancement, development, and funding of Latino/Latina film and media arts in all genres.